Abraham Badru, the son of member, House of Representatives, Lagos Island Constituency 1, Dolapo Badru, has been killed. 26-year-old Abraham, who worked as a football coach after his master’s degree at the University of Gloucestershire, United Kingdom, was shot dead in Hackney, London, around 11pm on Sunday. 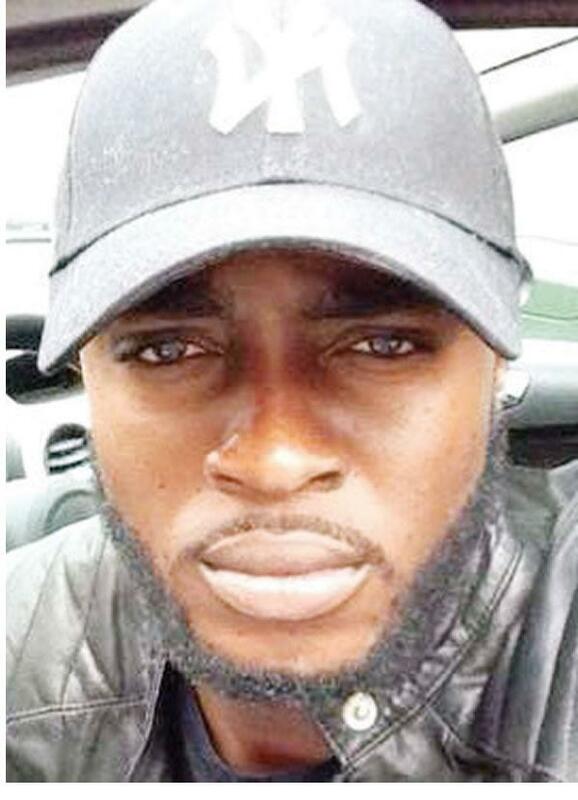 Abraham, who was the 10th person to be killed in London within two weeks, had recently been honoured with a bravery award by the police after saving a s*x attack victim. His father, Dolapo, told Evening Standard that he (Abraham) fought off the lady’s assailants, testified against them in court and assisted in their convictions. The victim’s neighbours said he was shot while getting out of his car. “As soon as I heard the bang, I knew it was a gunshot. I’m ex-military and knew that couldn’t be a firework. “I went to my balcony and saw a man slumped over on the ground at the back of a car. “There was just one shot and a cry of pain. No speeding scooter and no speeding car. “I didn’t see anyone make off,” a resident told Mailonline. Another neighbour, who spoke to Evening Standard, said his mother rushed out after the shooting and clutched at his lifeless body. “It was terrible listening to her collapse and crying on the floor. She was just screaming. “Everyone was very upset and I had to go away; I couldn’t take it. It happened on our doorstep and I had to say a little prayer for the family,” he said. Detective Chief Inspector Larry Smith, from Scotland Yard’s murder squad said the police needed help from residents to be able to apprehend the killers. According to Punch, the father, in a Whatsapp message to his colleagues in the House of Reps, said although he could not understand the loss, his faith in God was unshaken. He recalled that before the killing, Abraham had broken the news of his proposal to his girlfriend to him. “This is every parent’s nightmare: loss of a child. My heart bleeds seriously. “I lost my son, Abraham Badru, last night here in London. He was at the right place at the wrong time. He was the only child of his mum. The Leader of the House, Mr. Femi Gbajabiamila, in a statement in Abuja, urged other lawmakers to call and comfort the family. A sibling of the victim, Yewande Badru, said he would be missed. “Life took you too soon my brother AB,” she said on Facebook. One of his friends, Haseeb Ahmed, in a tribute, said the city of Bristol, where the deceased was the Sports Development Officer for six months, would also miss him. “Another senseless tragedy, taking the life of a good, kind-hearted man. (I am) shocked to see this today. Many of my friends from Bristol will be feeling the same way, I’m sure,” he added on Facebook. A resident of Hackney, with the Twitter handle, @ImpassionedDias, said the killings in the area were terrifying. “I don’t know what’s going on in Hackney; I’m genuinely terrified. I get anxious any time my brothers are out. London is moving mad,” she tweeted. One Temmi O-Piaget @Temmi_T, while wondering how Abraham died, said he did not belong to any gang. Mailonline reported that concerns had been raised about rising levels of violent crimes in the UK, adding that eight people were shot or stabbed in London within one week. The Chief Executive of Knife-crime Awareness Charity the Ben Kinsella Trust, Patrick Green, said a “crisis point” had been reached.